Google is going to introduce a couple of new Nexus smartphones this year, perhaps as soon as at the end of September. This has been rumored extensively over the past few months, with LG and Huawei being the manufacturers of those devices. While Huawei will take care of the phablet market, LG's new Nexus is expected to be a sequel to the Nexus 5 from 2013. Today a new rumor comes to shed some more light on its specs. 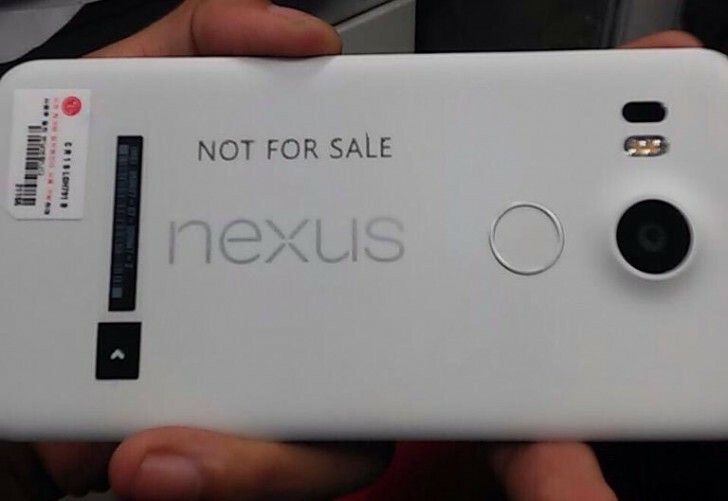 First off, it's still unclear whether it will be called Nexus 5 (2015) or something else, so keep that in mind. Pricing is another mystery, though it will surely be cheaper than the Motorola Nexus 6, based on these rumored specs. Speaking of which, the new LG Nexus is said to sport a 5.2-inch 1080p touchscreen, a 12.3 MP rear camera, a 5 MP selfie shooter, the Qualcomm Snapdragon 808 chipset at the helm, 3GB of RAM, 16 or 32GB of storage, and a 2,700 mAh battery. The Nexus 5 (2015) is apparently going to be offered in three color versions: black, white, and blue. The previously talked about USB Type-C port will be in, though whether it will be USB 3.x or just USB 2.0 (like in the OnePlus 2) remains to be seen. The Snapdragon 808 isn't Qualcomm's current flagship SoC, but with the issues surrounding the 810 and its heat-generating abilities, this one's bound to be a cooler choice (literally). And the 1080p display will clearly sip less energy than a QHD panel would have, which may mean the average-capacity battery will be able to handle around a day of normal use. Yet this is all just speculation for now. The look of new nexus5 is certainly not a futuristic, its dull . As per rumored specs of new nexus5, the old nexus 5 was ahead of flagship phones at that time. the new nexus 5 is lagging the flagship phones in specs.